Many nutritional experts recommend that people add more fish to their diet. The consumption of more fish in the human diet is associated with a decreased risk of heart disease, stroke, diabetes, dementia, obesity, and arthritis. Fish is also a great source of protein and minerals like zinc, selenium and vitamin D. Now, you might think that only fresh or frozen fish is healthy for you—however, that’s not necessarily true because canned fish can also be a very reasonably-priced and reliable source of the same nutrients. Canned salmon, especially the sockeye variety, is full of healthy omega-3 fats and is an excellent source of protein, vitamin D, and selenium. Try to get the sockeye variety as they contain greater amounts of fatty acids and vitamin D by weight. This variety also tastes better and I rather enjoy using canned salmon in roll-ups mixed with green onion, red pepper, green lettuce, and Dijon mustard. Chunky Albacore tuna is an excellent source of protein, omega-3 fats, and zinc. Unfortunately, some varieties have contained mercury in the past; however, there are some reputable brands that do not contain mercury. These brands include varieties such as Wild Planet and Raincoat Trading which contain little or no mercury. Check with your grocer before purchasing Albacore tuna to make sure it is mercury-free. These small fish carry a large nutritional punch because they are a concentrated source of heart-healthy omega-3 fats, vitamin D, and B12. These fish can be sold in water, olive oil, or in various sauces. I like the sardines packed in tomato or hot sauce as I can add them right on top of a salad or my brown rice for a powerful dose of protein and omega-3 fats. The great thing about this fish is the low cost and you just can’t beat the value here for what you spend. This fish is also very good if you can find the right brand. There are some types that are canned in tomato sauce or smoked which I find particularly good and tasty. You can even purchase this product pickled but I find that the best way to eat pickled herring is fresh. Although it doesn’t sound appetizing, I find it very delicious. Herring is also an excellent source of omega-3 fats, protein, and nutrients like selenium and B12. It is also not an expensive choice relative to salmon and tuna but is similar in nutrient value. Again, this fish can be used in salads or with your favourite grain dish. Canned anchovy is a fish that also contains a high concentration of omega-3 fats, and minerals like selenium and copper. They are also reasonably priced and have excellent nutritional value but from a personal perspective, I prefer to use them as a healthy topping on pizza. The reason is that they are very salty and have a strong flavor so I cannot eat them right out of the can. However, on pizza they can add flavour and added nutritional goodness. I recommend people consume canned fish at least two to three times per week as a healthy and cost-efficient manner to increase your consumption of fish. Kadey, M.,“5 Canned Fish You Should Be Eating,”Yahoo! 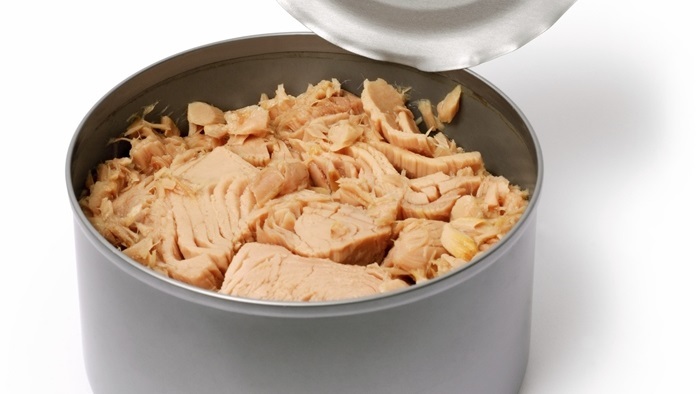 web site, Nov. 26, 2013; http://ca.shine.yahoo.com/blogs/healthy-living/5-canned-fish-eating-165100868.html,last accessed Nov.26, 2013.